Today we explore the Slow TV movement with Thomas Hellum, one of the driving forces behind this Norwegian Television Phenomenon that is changing the way video content is shot, distributed and watched. 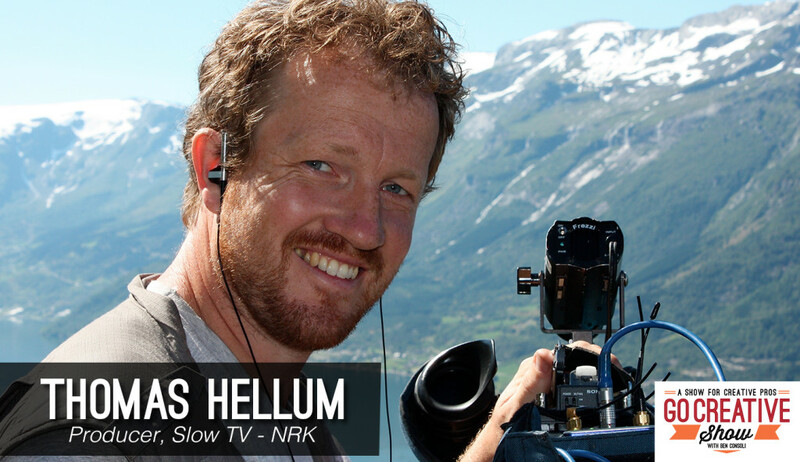 Thomas Hellum produces Slow TV at NRK in Norway… really slow… Like a 134 hour ride on a cruise ship, or a 7 hour train ride, or a 24 hour knitting competition, all unedited and delivered live in real-time. Since it’s first broacast in 2009, Slow TV has captivated worldwide audiences in the millions and created a revolution in the way television is watched. Thomas and I discuss the unique challenges of broadcasting live for multiple days non-stop, how social media has reacted, and how Slow TV is a movement towards being more present and appreciating the world around us like never before. Is there a shift towards longer video content online?